The GVCC will release the Ready, Set, Go! Wellness Blueprint which is a document outlining a three step wellness plan for business: 1. Ready (Leadership) 2. Set (Education), 3. Go (Action Plan) in late Spring. 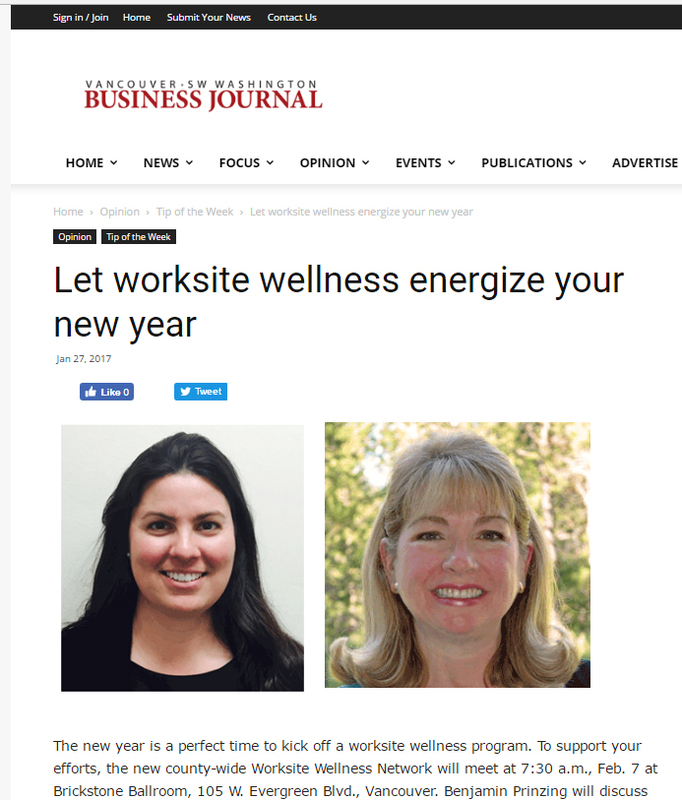 The blueprint provides tips, strategies, and tools for a simple, successful wellness program - and will heavily feature local resources in the "Go" section of the blueprint. 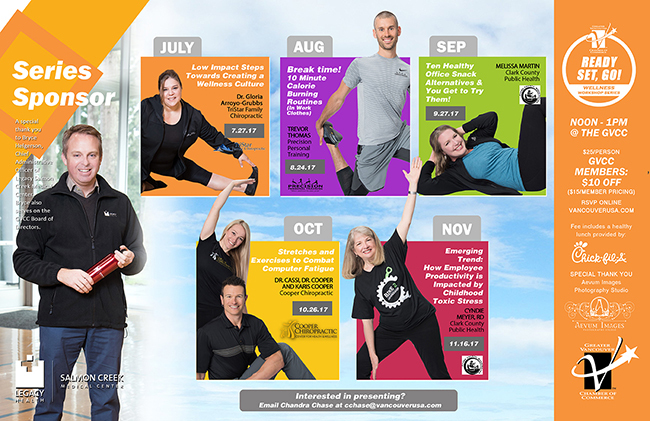 This blueprint will be a referral for GVCC member in the wellness industry. The blueprint will also showcase the two deliverable from the Chamber: a monthly Wellness Workshops Series, presented by Legacy Salmon Creek Medical Center and the Wellness Quizzes, presented by Regence BlueCross BlueShield. The "Ready, Set, Go! Wellness Quizzes" are designed for businesses to administer to spark dialogue about wellness topics with team building and information sharing in mind - over competition. The GVCC has partnered with Clark County Public Health, VBJ Healthiest Companies, Legacy Salmon Creek Medical Center, Regence Blue Cross BlueShield, the Clark County Worksite Wellness Network, Clark College, as well as numerous GVCC members in the wellness industry. On Tuesday, February 7th the GVCC took part in the Worksite Wellness Network's Quarterly meeting and presented our new wellness quizzes as the icebreaker exercise. The quiz questions sparked conversation and ranged from nutrition to fitness, and mental health in the workplace. These quizzes will become available to GVCC members soon with team building in mind.